One of the most vital elements of a martini is the temperature. It has to be cold. Extremely cold! It is for this reason that I keep the gin and the glasses in the freezer. The glasses should be in there for at least 10 minutes (but preferably a few hours – and I normally just keep them in there permanently). The gin should ideally be in there for at least a day if possible. When I see someone putting gin in a cocktail shaker with ice cubes to cool it down I realise that (a) they haven’t kept their gin in the freezer (b) the glasses probably haven’t been kept in the freezer either and (c) they are now watering down premium quality alcohol with ice cubes. They will then likely present a room-temperature glass of almost neat gin, often garnished with a piece of lemon peel they seem to put more effort in to than any other aspect of the drink. In my opinion, this is utter madness. I’d rather have a nice drink than a fancy garnish, and I imagine that most people would agree with me. Note that I don’t keep the vermouth in the freezer as it would freeze solid. Gin shouldn’t freeze solid unless its very bad quality or you only have a small amount in the bottle. Sometimes it can partially crystallise. If this happens, it looks lovely when you pour it but bear in mind that the martini will taste much drier than normal for the first minute or two before those hypnotic crystals melt. When it comes to chilling the glasses I’ve seen people do a crazy thing when they put water into the glasses and then ice cubes to try and cool down the temperature, before they discard the ice and water and serve the martini. This is messy, time consuming and ineffective. Rinse the glasses under the tap and put them in the freezer for several hours, maybe overnight. I keep them in there permanently because you never know when circumstances demand a martini at short notice. 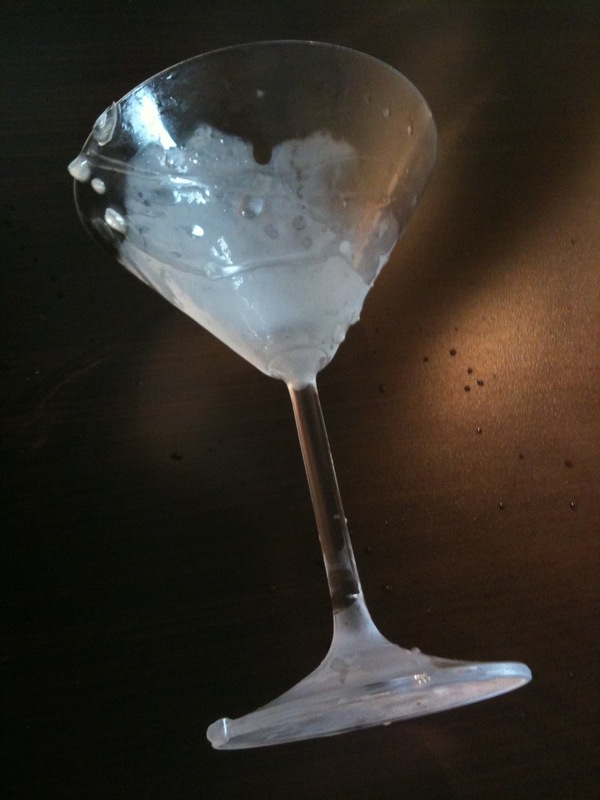 If you need a cold glass in a hurry (perhaps if you’ve had a martini and it was so good you want another one), run the glass under the tap and put it in the freezer for 5-10 minutes. Its not ideal but it’s just enough to get it to freeze. If I have the time, I might take the frozen glasses out of the freezer in advance of a planned martini and quickly flick some water on them before putting them back in. These water drops freeze onto the exterior of the glass which makes it look a little bit more dramatic. 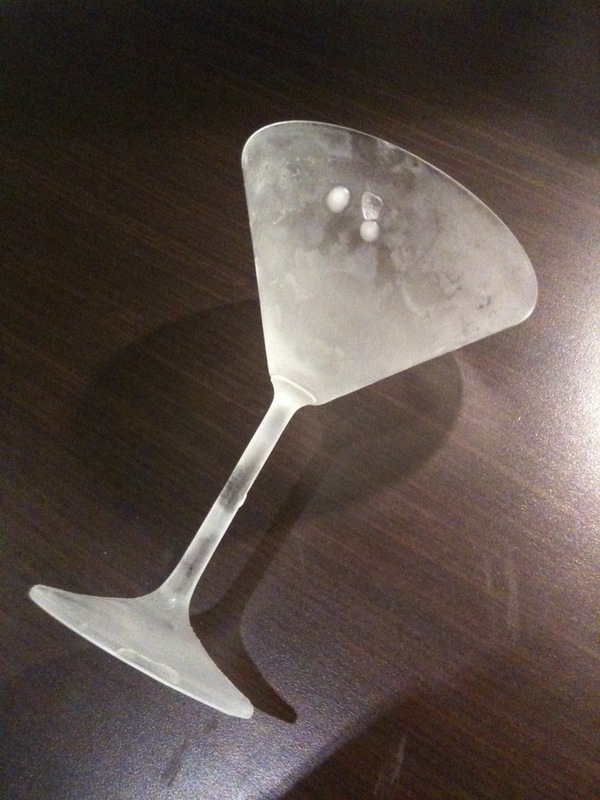 It also means that it takes the glass a little more time to thaw so your martini stays colder for longer. All of the above may seem like quite a bit of faff, but I wouldn’t do it if the temperature wasn’t an integral aspect of the drink. Also, if bartenders spend ages peeling, slicing and twirling pieces of lemon peel to perfect their drink, then maybe it isn’t that crazy to spend 20 seconds simply putting the gin and glasses in the freezer in advance of pouring the drink. Having tried and tested these techniques I can confirm that it is a very simple and easy process. When you first sip your own home-chilled martini I think you’ll agree that I’m right! 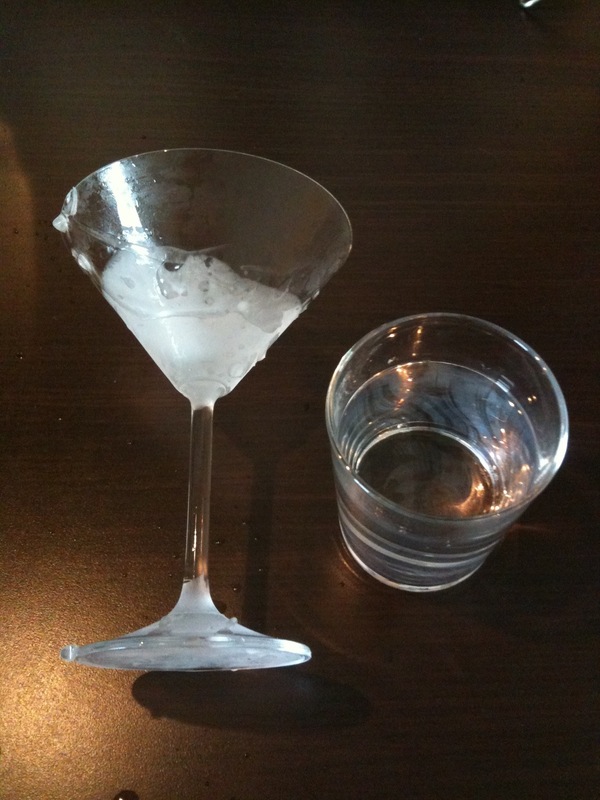 This entry was posted in How to make a martini and tagged ice, temperature by themartinidiary. Bookmark the permalink.